The silence is pierced by an anguished cry. "Everybody in town knows who the killers are ... They burned down my house, my ranch, they threw grenades. I want justice!" It's Jorge Mendoza López, whose three brothers were kidnapped and presumed killed last Sept. 17, presumably by drug traffickers. His shouts get attention of the crowd gathered at the plaza Tuesday and distract Tubutama's mayor, Santos Castañeda Barceló, who asked for a moment of silence to mourn the killing of three town officials. Mendoza López demands answers from Sonoran legislators, who have traveled from Hermosillo to this mission town 40 miles south of the U.S.-Mexico border as part of an armed convoy of politicians, officials and reporters. Guarding the group are dozens of armed agents from the Mexican military and Sonoran police. The Sonoran Legislature has moved the day's regular session to Tubutama to publicly approve a new law that lets municipalities like Tubutama request state police resources. Perhaps no place in Mexico needs help like Tubutama. It used to be a popular stop on tours of Americans wanting to see beautiful mission churches. Then drug gangs started warring on the roads connecting northern Sonora's mission towns. The town's last policeman, 34-year-old Julio Adrián Paz Robles, was killed May 29. Mayor Castañeda Barceló's staff members Gerardo González Méndez and Sergio Vázquez Díaz were shot dead a year ago in San Jorge - a village close to Tubutama. Their bodies were found inside a green pickup without license plates. Last July 1, a shootout between rival traffickers competing for drugs and smuggling routes left at least 21 people dead and six wounded, Sonora's attorney general says. The violent confrontation occurred on a deserted stretch between Tubutama and Sáric, about 12 miles south of the Arizona border near Sasabe. Since then, hardly anybody dares to drive those roads. Grocery distributors no longer make deliveries. The town's only gas station has closed and now serves as a checkpoint where members of the Mexican military sometimes monitor who goes to and from Tubutama. Many of the town's residents have fled. Mexico's census bureau says Tubutama and its six surrounding villages have 1,751 residents. Mayor Castañeda Barceló estimates that at least 300 have left. After Mendez, one of the Familia's leading figures, was captured some days previously, the government said the group was in its death throws. But the new messages cast doubt on that diagnosis, and suggest that with Mendez out of the picture, the split between the Familia and splinter group Los Caballeros Templarios may be salvageable. Far from heralding its decline, this could clear the way for the gang to become still more powerful. To the society of Michoacan as a whole: you are hereby informed that the Familia Michoacana distances itself from all acts carried out by El Chango Mendez and his people, who were part of the Familia Michoacana, in fact Chango was one of the bosses but with his degrading actions, a front was formed to combat him, and he was later expelled upon the discovery of his links to the social cancer the Zetas. We wish to make clear, we the Familia are Michoacanos, not Chango Mendez. We appeciate the support of the Michoacan guard and the Caballeros Templarios for their assistance in expelling Chango Mendez from Michoacan, because his group stole, extorted, raped, while unfairly using and referring to the sacred name of the Familia Michoacana. The expression of support for the Caballeros is striking, because it contradicts the dynamic that had seemingly prevailed in Michoacan for the past several months. As InSight has reported, the Familia, led by Mendez, had been fighting with the Caballeros, headed by Servando Gomez, alias "La Tuta," a former Familia boss and enemy of Mendez. Whether or not the Familia did in fact expel Mendez, the message indicates that there is a significant portion of his faction eager to end the recent bloodshed driven by the two groups' rivalry, and work with Gomez’s gang. This could lead to an easing in the recent outbreak of violence in the southern Pacific state, which is home to fertile drug production zones, key trafficking routes, and one of the nation's largests ports, namely Lazaro Cardenas. In recent months, the Gulf and Sinaloa Cartels have allied themselves with the the Familia in a grouping known as Carteles Unidos Contra los Zetas, or Cartels United against the Zetas. In contrast, the Zetas only seem to find allies among gangs on the verge of sliding off the map. Mendez’s alliance seems to have been born out of desperation, as he fought a losing fight against both the Caballeros Templarios and the security forces. The Zetas also recently announced an alliance with La Linea, a Chihuahua group that has suffered significant setbacks in recent months, to the point that the government says that the gang is practically dismantled. It appears as though the Zetas become an attractive ally only when there is no other choice. There are a number of possible reasons for the general enmity towards the Zetas. One is that, unlike the traffickers from Sinaloa and elsewhere, Zeta leaders like Heriberto Lazcano did not go through a gradual process of making their way up the drug trade’s totem pole. The group was notorious essentially from the moment of its founding, as hit men in the service of Gulf boss Osiel Cardenas in the late 1990s. In less than a decade, the surviving founders were heading one of the foremost networks in Mexico. In other words, they barnstormed to the top in a way that would provoke resentment in any industry. The Zetas also have a reputation for being freer with violence, which draws the attention of the authorities and alienates the civilian population, causing problems for the operations of the entire drug trade. But most importantly, the Zetas are expansionists. Not content to operate in their homeland on the Gulf Coast, they have steadily advanced south and west, increasing their presence in various regions, such as San Luis Potosi, Coahuila, Jalisco, and the Yucatan Peninsula. This makes them a dangerous force for instability and a driver of violence, resented by the other trafficking groups. Are Mexico Cartels Targeting US Border Officials? Reports suggest that assaults on U.S. officials on the Mexico border are increasing, as desperate traffickers are increasingly prepared to confront law enforcement agents head on. However, a look at these “attacks” shows that the danger may be exaggerated. According to an article in Mexico’s El Universal, the Border Patrol and other U.S. law enforcement agencies that work along the border have seen an increase in the number of attacks by Mexican drug cartels in recent months. This claim is bolstered by a 2010 Congressional Research Service report on border violence, which indicates that such attacks have increased from 773 recorded incidents in 2005 to 1,073 in 2009. The Mexican paper cites Steve McCraw, director of the Texas Department of Public Safety (DPS), who provides even more dramatic statistics. McCraw says there were only 356 attacks in 2004, meaning that their frequency may have increased by more than 300 percent in a five year period. According to McCraw, this is partly due to the fact that cartels are under increased pressure to limit the amount of their product that is seized by authorities. At one time, members of drug cartels threw out their drug shipments or abandoned their vehicles when confronted by U.S. agents, according to McCraw. But today, drug cartels have less tolerance for failure. The DPS official claimed that shipments of drugs and undocumented migrants are now vigorously protected, with gangs using high-speed automobiles and being prepared for direct confrontations with the authorities. As evidence, McCraw referred El Universal an incident that occurred on June 9, in which Border Patrol officers in Texas came upon several men unloading more than 1,200 pounds of marijuana on the Mexican side of the border who began to throw rocks and sticks at the agents. The officials said that, after they heard “at least six” gunshots, they opened fire on the men. As the Houston Chronicle noted, the American agents allegedly shot around 300 rounds in the incident. However, the vast majority of these “clashes" are instances of unarmed civilians throwing rocks, sticks and bottles at border agents, who frequently fire their weapons in retaliation. In fact, this has long been a vexing diplomatic issue between the U.S. and Mexico, and the latter country has repeatedly accused U.S. agents of using excessive force. 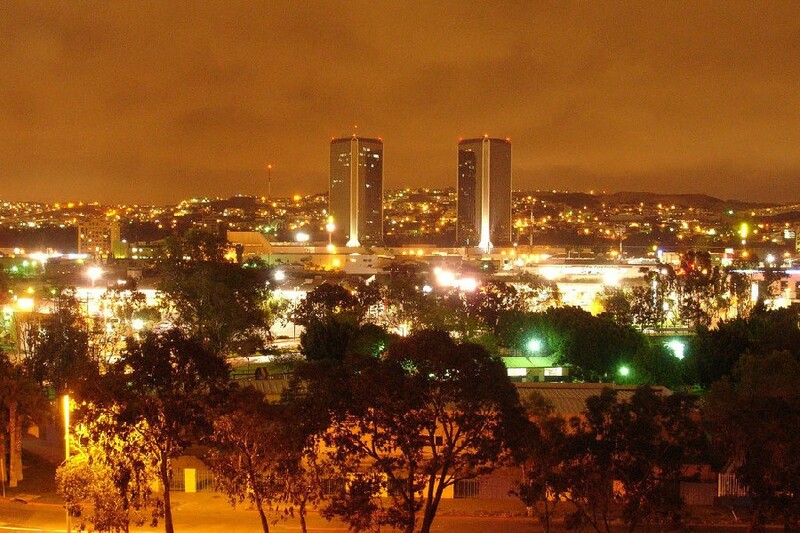 The most recent such incident occurred in Tijuana on June 21, when three men attempted to jump the border fence which separates the city from San Diego. When U.S. law enforcement officials captured one of them, his associates began to throw rocks and other projectiles at them, according to the agents. In response, a Border Patrol agent shot one of the men in the head. As CNN reports, Mexican President Felipe Calderon has condemned the killing, and asked the United States to punish the officer responsible. Although McCraw’s remarks are sure to fuel fears of “spillover violence” and trigger more calls for increased security at the border, it’s worth pointing out that the incidence of attacks is still relatively low, considering the number of Border Patrol agents along the border. 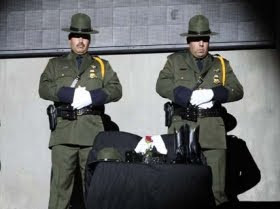 As an internal Customs and Border Protection study obtained by the Associated Press last year revealed, only three percent of Border Patrol officers were assaulted in 2009, compared with 11 percent of police officers and sheriff's deputies assaulted nationwide during the same period. Mexican soldiers on patrol in the western state of Sinaloa discovered an elaborate underground laboratory for the manufacture of crystal meth and other synthetic drugs, the defense department said. The facility is 10 meters (33 feet) deep, 12 meters (39 feet) long and 10 meters wide, the department said in a statement. One level of the two-story metal structure houses a kitchen and sleeping quarters, while the other consists of two workspaces and a warehouse. Equipped with an elevator and air conditioning, the site near the town of San Antonio is the most-sophisticated illegal drug lab found so far in Mexico, the defense department said. Soldiers confiscated 440 kilos (969 pounds) of methamphetamine and substantial quantities of drug precursor chemicals, as well as six organic-synthesis reactors, five condensers, six gas tanks, 11 burners and other gear. Mexico, which produces most of the crystal meth consumed in the United States, has tightly restricted imports of chemicals used in the production of illegal synthetic drugs, seizing hundreds of tons of precursor chemicals in recent years. A heavily armed commando executed the police chief of Santa Catarina, Germain Perez Quiroz. He was gunned down inside his own office at the police headquarters of the agency located in community of Infonavit La Huasteca. In an unofficial report it was also mentioned that another person was killed inside the same office, however that fact has not been confirmed. Following the murder the gunmen took three municipal police officers hostage and were ultimately abducted at gunpoint, their whereabouts are presently unknown. 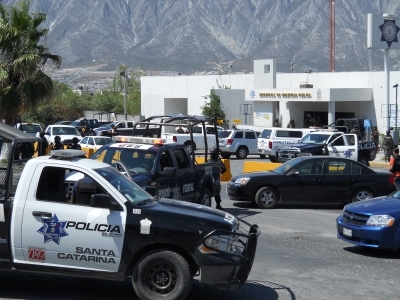 After the incident about 100 elements of the Federal Police, military and Marines took control of the police facilities in Santa Catarina, a municipality located just west of Monterrey. The Mayor Gabriel Navarro sent condolences to the family of the police chief killed who he described as an honest man who performed his duties in a righteous way on behalf of the police agency and warned that crime will not scare the municipal authority. Later, in Monterrey, at around 1600 hours four young men were "executed" against a wall in the back of a shopping center in community Florida, south of the capital. During an interview, the Mayor could not provide any type of detail of the incident and appears the feds were keeping him out of the loop, suggesting a sign of distrust of the municipal authority. Mexico's cult-like La Familia drug cartel conducts widespread extortion rackets aimed at farmers, miners and even bullfight organizers while getting protection from state police commanders, federal officials said Sunday. 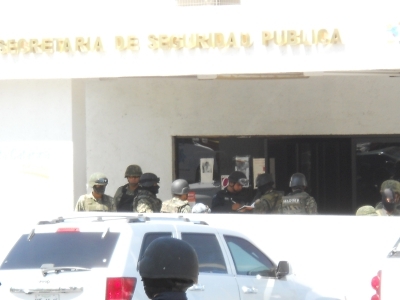 Mexico's federal police agency, the Public Security Secretariat, outlined the local businesses preyed upon in a new report on the extent of the gang's corruption and intimidation tactics in its home base of Michoacan state. In order to supplement drug-trafficking income, La Familia forces miners to pay $1.50 per ton of metal they sell and cattle ranchers to pay $1 per kilogram of meat, it said. Michoacan's rich lime and avocado farms are subject to "quotas," or a percentage of farmers' earnings. Bullfights, cockfights and concerts also are extorted, the report says. While news reports of extortion by drug gangs have become common, authorities had not confirmed in detail the extent of La Familia's hold on raw material production in the western state. The report came five days after federal authorities apprehended La Familia's alleged leader, claiming the arrest was a debilitating blow against the crime group. Jose de Jesus Mendez Vargas, alias El Chango, or "The Monkey," was the last remaining head of the cartel that authorities say has terrorized Mexico's western states. The report charges that Michoacan state police commanders aid La Familia in its operations by permitting cartel operatives to use patrol cars, radio frequencies and police uniforms. The report relates how one former state police official used patrol cars to block off streets and help hit men escape other police. "They used state police infrastructure to establish routes and ensure the safety of their armed commandos," the report says. La Familia makes extensive use of propaganda, such as organizing marches against the government's offensive against drug gangs, generating rumors of police abuse and reporting false human rights complaints, the report says. Still, authorities say they have managed to push the cartel into mountainous regions and have detained or killed most of its top leaders. The report says more than 700 La Familia members have been arrested since 2008, mainly in Michoacan and Mexico State, which borders Mexico City. But the leader of a violent splinter group, which calls itself the Knights Templar, remains at large. La Familia was born in President Felipe Calderón's home state of Michoacan in 2006. When he took office in December of that year, Calderón sent thousands of federal police there and warned that the cartel was corrupting local officials and extorting businesses. Even with the gang's setbacks, there are signs La Familia is still active. Seven bodies were found early Sunday in two different spots outside Mexico City along with messages purportedly signed by La Familia, the Mexico State prosecutor's office told The Associated Press. Prosecutor spokesman Alfredo Albiter said police were trying to verify whether the messages left near the bodies in both Valle de Chalco and Ixtapaluca in Mexico State were indeed written by La Familia members. Several narco-banners signed by La Familia Michoacana appeared during the day yesterday in several municipalities of Guerrero that included Teloloapan, Tlapehuala and Arcelia. 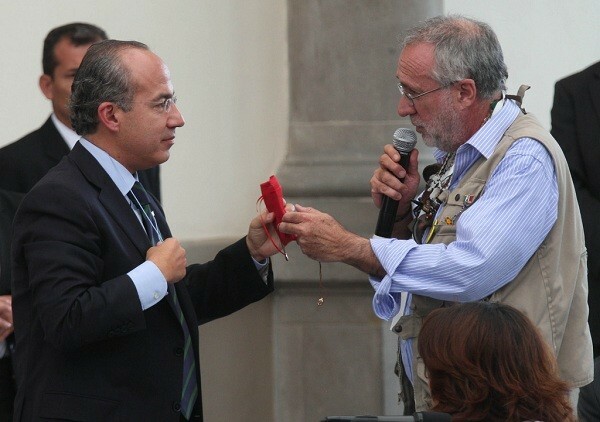 The narco-messages were addressed to Mexican President Felipe Calderon Hinojosa along with Alejandro Poire and talks about the Knights Templar (Caballeros Templarios). The Attorney General of the State of Guerrero, confirmed that the narco-banners were seen at different locations and were immediately removed by members of the federal police. La Familia Michoacana put the blame squarely on Felipe Calderon for all the innocent people that have been killed in different incidents. Authorities indicates that the message was all the same, it said that Nazario Moreno Gonzalez is in fact alive, and that the government knows that to be true, although the government has publicly maintained that he is dead. The banners also mentioned El Chayo, the leader of the Knights Templar, present rival of La Familia Michoacana. 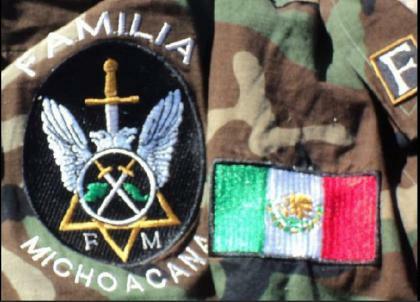 In other narco-banners it sends a message to Alejandro Poire, who after the arrest of "El Chango" La Familia Michoacana he said that La Familia was completely destroyed, but the message warns him that the criminal group is still alive and are prepared for a war against the Knights Templar. "Mr President Felipe Calderón that war that is being waged between La familia Michoacana and Los Caballeros Templarios that is lead by Nazario Moreno Gonzales "El Chayo," who your government declared dead but you know he is alive. . . . But you are embarrassed to admit or do you protect him through an agreement by your government? This is provoking a wave of insecurity in Michoacan of which you are the only one responsible for so many deaths of innocent people. Sincerely: La F.M." "To society: La Familia Michoacana is united in our strength that is superior to any problem and we are letting the secretary of security Alejandro Poire know that La Familia Michoacana remains alive and prepared for the war against Los Caballeros Templarios. Sinecerely: La Familia Michoacana"
Mexico will bring the criminal organizations operating there under control one day, but this will not happen during the term of President Felipe Calderon, who will pass on the problem to his successor, the author of a new book inspired by Sun Tzu’s classic “The Art of War” told Efe. “The government has everything it needs to win,” the author and active-duty Mexican Federal Police inspector who writes under the pen name Tomas Borges said. “El arte de la guerra para narcos” (The Art of War for Narcos) draws lessons from the classic Chinese text on military strategy that can be applied to Mexico’s war on drugs. Sun Tzu points out that “numerical superiority does not provide an advantage unless the correct strategy is used,” Borges, who has worked undercover and currently holds an administrative post in the Public Safety Secretariat, said. “El arte de la guerra para narcos” (Temas de Hoy, 2011) provides a series of “reflections” based on the Chinese text that can help Mexico “if not eradicate drug trafficking, then understand it,” Borges said. The book “takes up classic texts to understand complex, current problems,” such as the war on drugs launched by President Felipe Calderon after he took office in December 2006, the author said. The book was written amid Mexico’s war on drugs, which has claimed the lives of about 40,000 people and the author considers to be wrong. “It caught my attention that they would use a military approach to eradicate organized crime, and that he (Calderon) would give the connotation of ‘war’ to a public safety problem that has affected regional and hemispheric security,” Borges said. It is regrettable that a current problem “is being fought with strategies from the eighties and nineties, from the time of Ronald Reagan and George Bush senior,” the author said. A reading of Sun Tzu, a Chinese aristocrat and mercenary, revealed that “many of his axioms, written 500 years before Christ, still apply” and should be taken into account in Mexico today, Borges said. Organized crime groups are dealing with the government intelligently, applying Sun Tzu’s rule that you must know when to fight and when not to, Borges said. “They are using common sense, not focusing so much on numerical superiority” and having a “bigger impact” than the government by making use of YouTube, Facebook and Twitter to show “who is the most sadistic and who is most skillful at generating violence and uncertainty,” the author said. Mexico is dealing with “a problem that could be resolved in a short time with a good strategy and good tactics ... it’s not a six-year” situation, Borges said, referring to the length of a Mexican president’s term. “Calderon himself said at the beginning that he was going to take back the spaces that organized crime had grabbed from Mexican citizens ... and we see that he has not finished the problem of drug trafficking. On the contrary, he has made it worse,” the author said. Mexico is living through “a dark stage” today and “the drug traffickers are not going to be exterminated, but they will be controlled,” Borges said. “As long as we continue to be neighbors of the main consumer of drugs, there will always be suppliers who try to meet demand,” the author said. Borges, born in La Paz, Baja California state, has been involved in the preparation of intelligence reports and participated in anti-crime operations in Sinaloa and other states in recent years. The Federal Police officer, who has firsthand knowledge of the war on drugs, is also the author of “Maquiavelo para narcos. El fin justifica los miedos” (Machiavelli for Narcos. The Ends Justify the Fears). Father Alejandro Solalinde says witnesses told him that at least 80 people were abducted from a train by masked gunmen in Veracruz state. 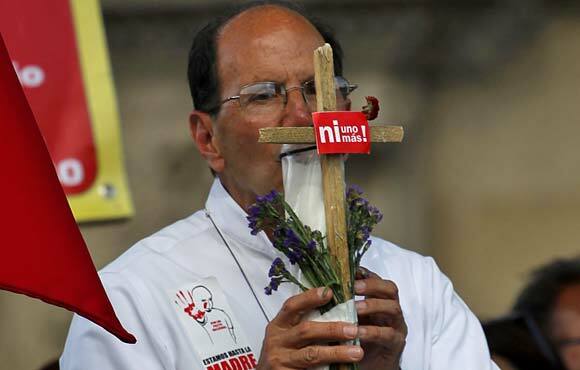 A Roman Catholic priest who has long championed the cause of migrant workers on Monday denounced what he said was another mass kidnapping of undocumented Central Americans purportedly yanked from a train by masked gunmen in southern Mexico. Father Alejandro Solalinde, who runs the Hermanos en el Camino shelter for migrants, said at least 80 people primarily from Guatemala and Honduras were apparently abducted Friday in Veracruz state. 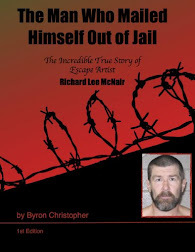 He based his claim on information from several members of the group who said they managed to escape. If the report is true, this will be the latest in a string of cases in which armed gangs have intercepted illegal immigrants on their voyage across Mexico to the United States. The gangs often try to extort money from the immigrants' families or force them to work as drug mules or in other tasks. Many of those abducted have ended up in mass graves; in the worst massacre of such migrants, 72 were slain execution-style last year in Tamaulipas state, which borders Texas. The National Commission for Human Rights demanded Solalinde's assertions be investigated swiftly and that the missing immigrants rescued. The commission says it documented the kidnapping or disappearance of 11,333 immigrants in a six-month period last year and criticized the government for failing to improve safety conditions. Solalinde told reporters that the witnesses said about 10 heavily armed men pulled the migrants from a train when it stopped at a desolate spot around midday. The gunmen seemed to especially target women and children, rounding them up first and forcing them into waiting trucks, he said. "Some ran and escaped but the others didn't," Solalinde said. "And now we don't know what's happening to these poor people." The group totaled up to 250 people, many of whom had been staying in Solalinde's shelter in Oaxaca state before the abduction, the priest said. He suspected the notorious Zetas criminal network to be responsible. The federal attorney general's office said it would investigate the incident. President Felipe Calderon has repeatedly had to face the anger of Central American governments that complain their citizens are not being protected. In an annual report on human trafficking released Monday, the U.S. State Department said Mexico "does not fully comply with the minimum standards for the elimination of trafficking; however, it is making significant efforts to do so." It also noted reports that local authorities were often in cahoots with the gangs. With fanfare, Mexico last month signed an immigration law meant to reduce the dangers and announced a purge of corrupt immigration officers. At least 11 people, including two transit police officers, were gunned down in separate incidents over the weekend in Ciudad Juarez, Mexico’s murder capital, officials said. The bodies of four men were found Sunday in the back of an automobile parked in a poor neighborhood in the northeast section of Juarez, a gritty border metropolis located across the Rio Grande from El Paso, Texas. The four unidentified men were shot to death, the Chihuahua state Attorney General’s Office said. Six other people were murdered on Saturday in different parts of the border city, the AG’s office said, adding that the transit officers were killed while issuing a citation to a man. Gunmen shot the officers from two SUVs, the AG’s office said. A man was killed and another wounded when gunmen opened fire on four young men who were in the yard of a house, the municipal police department said. The driver of a car was killed and his passenger wounded in another part of the city on Saturday, while two people died in a drive-by shooting in front of a fast-food restaurant. A 26-year-old man was gunned down while walking on a street in the southeastern section of Ciudad Juarez on Friday night, the municipal police department said. Investigators have not made any arrests in connection with the latest string of killings in Juarez, the AG’s office said. At least 14,000 “armed criminals” are in Ciudad Juarez and Chihuahua city, the state capital, working for the drug cartels that are fighting for control of smuggling routes into the United States, Chihuahua Attorney General Carlos Manuel Salas said earlier this month. “It was an inherited war, which we got from the prior administration, in which 9,000 armed criminals are fighting for Juarez and a number near 5,000 for the city of Chihuahua,” Salas said. About 5,500 of the armed criminals operating in Ciudad Juarez belong to Los Aztecas, a gang that works as the armed wing of the Juarez cartel, while the rest work for the Sinaloa cartel, Salas said. More than 8,500 people have been killed in Ciudad Juarez since late 2006, and the death toll this year has topped 900. The violence has not subsided in Ciudad Juarez despite the deployment of nearly 10,000 soldiers and Federal Police officers in the border city. More than 3,100 people were murdered in Ciudad Juarez last year, making 2010 the worst year since the war between rival drug gangs sent the homicide rate skyrocketing in 2008. The federal government claims that the murder rate in Juarez has fallen 60 percent this year, but local activists contend that it has only dropped 24 percent. A total of 15,270 people died in drug-related violence in Mexico last year, and nearly 40,000 people have died since President Felipe Calderon declared war on the country’s cartels shortly after taking office in December 2006. Mexico’s La Familia drug cartel has received “assistance from state police commanders” in the western state of Michoacan, a Federal Police report released over the weekend said. The drug cartel, which started out in 2002 as the La Empresa gang, expanded the scope of its operations in 2006 and began calling itself La Familia Michoacana. La Familia was allied with the Gulf cartel and Los Zetas, a group of former army special forces soldiers turned guns for hire, until 2008, but it later looked for new alliances. The cartel, which has been targeted by the authorities, “has had its operational capability and criminal structure weakened,” leaving it nearly destroyed, the report said. A total of 710 people linked to La Familia have been arrested, of whom 49 were in the cartel’s “command level,” the report said. The cartel was reorganized in March, when some members left to form the Los Caballeros Templarios gang and seek new alliances with other criminal organizations. La Familia received “institutional support” from Michoacan state police commanders and gunmen were able to use “patrol cars, radio frequencies and uniforms” from different police departments, the report said. Criminals sometimes used state police “patrol cars to block streets so that hitmen could get away,” the report said. “With state police infrastructure,” La Familia leaders “established the routes and security for gunmen,” the report said. Authorities dealt a strong blow to La Familia on May 27, when 16 suspected cartel members were killed and 36 others arrested in a shootout in Jilotitlan, a city in Jalisco state. The arrests of several other high-level members have rocked La Familia, which did not have a top leader. Ruben Gomez Cruz, suspected of smuggling synthetic drugs for La Familia into Texas, was arrested in Zapopan, a city in the Guadalajara metro area, while Jesus Mendez, one of the cartel’s founders, was arrested last Tuesday. Two other top La Familia leaders, Servando Gomez Martinez and Dionisio Loya Plancarte, remain at large. Mendez’s arrest “destroys the command structure of the criminal organization,” federal security spokesman Alejandro Poire said last week. Mendez, known as “El Chango,” was “responsible for murders, kidnappings, extortion (and) corruption,” Poire said, adding that the suspect also staged attacks on officials and the public. La Familia Michoacana’s ideological leader, Nazario Moreno, known as “El Chayo,” was killed in a shootout with Federal Police last year. The cartel began unraveling after Moreno’s death in December 2010, analysts said. 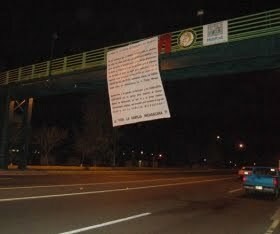 La Familia has a pseudo-religious ideology, portraying itself as the defender of Michoacan’s residents. At around 0400 hours on Saturday a heavily armed group arrived at a home located at the intersection of Presidencia Municipal and Primera in the community of La Estanzuela which is located just south of Monterrey, Nuevo Leon. The commando took four men out of an SUV who were handcuffed and showed signs of having been brutally tortured. They place the men against the wall of the house and executed them with automatic gunfire. After the execution the criminals fled the scene leaving the executed men piled up against the bullet riddled wall. Terrorized residents from the area immediately called the State Police, who arrived to find the four unknown men slain. Authorities were unable to establish the identity of the victims, who were taken to University Hospital where they hope family will claim the bodies. 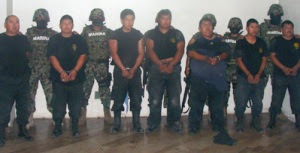 The Federal Police captured Albert González Peña or Franco Bueno Peña, known as "El Tigre" or "The Tiger" who served as plaza boss in the state of Veracruz by the organization of Los Zetas. Authorities confirmed that the capture took place on Friday thanks to the hard work in the investigation resulting from an arrest warrant. El Tigre is linked to several crimes among them drug trafficking, extortion and murder. El Tigre coordinated the collection of dues (cobro de piso) of apartment owners from several businesses, including bars, restaurants and street vendors in Veracruz. He also planned and carried out several kidnappings. The 43 year old man would select people close to him for his victims and easier to collect the ransom. During his arrest police confiscated three cell phones, a radio device, and other relevant documentation. The Mexican government, finally, is gaining the upper hand in a drug war that has turned much of the border region and parts of interior Mexico into war zones. President Felipe Calderón's campaign against the cartels is now three-and-a-half years old and the death toll is nearing 40,000. After a series of visits to Ciudad Juarez, the war's epicenter, and interviews with federal law enforcement and intelligence officials in Mexico City, I see convincing evidence that the government has dramatically weakened the drug cartels, an essential step if the country is to restore peace. The strategy of "disarticulating" the cartels has been largely successful. The command-and-control structure of the cartels has been decimated and the cartels are severely fractured. Twenty-one of the 37 individuals on Mexico's most wanted list have either been apprehended or killed. Of the five original cartels, two of them, the Juarez Cartel and the Tijuana Cartel, are mere shadows of their once powerful selves. The Gulf Cartel has split into two warring factions. Last week, Mexican federal police captured Jose de Jesus Mendez Vargas (better known as El Chango, or The Monkey), the leader of La Familia, one of the country's most powerful criminal gangs. La Familia's brutality against its rivals led Calderón to launch his crackdown on organized crime. The Sinaloa Cartel, under the leadership of the mythic "El Chapo" Guzmán Loera, has always operated more as a federation of closely allied organizations with Guzmán as the figurehead. The Beltrán Leyva organization broke off from "El Chapo" in 2008 and has been at war with him ever since. Ignacio "Nacho" Coronel, a powerful leader within the Sinaloa Cartel, was killed last year and his successor, Martin Beltran Coronel, has been arrested. And there is evidence of ruptures between groups in Durango, the heart of Guzmán's territory. The cartels have been eviscerated by a combination of federal operations and internecine conflict. A factor making it increasingly difficult for the cartels to operate is that they are being hunted by a variety of Mexican military and law enforcement agencies. The Mexican army and marines operate independently. The Mexican federal police force has quintupled in size to 33,000 officers (and U.S. sources describe their cooperation with American law enforcement as unprecedented). Finally, there is the smaller Agencia Federal de Investigación. Each of these entities is pursuing the cartels, sometimes collaboratively, sometimes independently, and each has taken down important cartel capos. Another important variable is that it has also become much more difficult and costly for cartels to ensure control and protection. Prior to 2000, in PRI-controlled, pre-democracy Mexico, what was decreed at the top levels of government was enforced all the way down to the poorest municipalities. That made corruption efficient. Well-placed bribes at the top controlled everything up and down the line. Today's playing field is much more complex, given that there are so many actors. For example, even though the Beltrán Leyva cartel was paying the head of the organized crime unit in the Mexican Attorney General's Office $450,000 a month to provide information about investigations and operations, Mexican army special forces arrested Alfredo Beltrán Leyva in January 2008. His brother, Arturo Beltrán Leyva was subsequently killed in December 2009 by the Mexican marines. There are simply too many players tracking down the cartels and the latter can't pay everyone off. Mexico's fledgling democratization has also increased the cartels' cost of doing business. Once a country where a single party controlled everything, today Mexico's three most influential political parties control governorships and municipalities, making it more cumbersome and expensive for the cartels to control local and regional institutions. Together, the decimation of the cartels, the strengthening of federal law enforcement institutions, and Mexico's increasing democratization bode well for Mexico's future. However, for the present, taking down cartel operatives and unprecedented seizures of cash, weapons and drugs have had no appreciable impact on the one metric that matters most to the Mexican public: the level of violence. The vast majority of deaths are due to gang-on-gang disputes related to the local retail drug business. This violence is more akin to the Bloods and the Crips killing one another off in the streets of South Central than it is a cartel war per se. The fracturing of the cartels has also resulted in a proliferation of criminal bands engaging in ordinary street crime, including the lucrative kidnapping and extortion business. This crime is taking an enormous toll on citizens, which is why Calderón's popularity is sagging, notwithstanding his government's success against the cartels. Today, Mexico is actually fighting two different wars: the war against the cartels, which is under the purview of federal authorities, and an explosion of ordinary street crime, much of which is under the purview of state and local police forces. The Mexican government is clearly winning the cartel war; it is local crime that has become the country's biggest challenge. Even as it succeeds in dismantling national and transnational drug trafficking networks, Mexico will continue to have a significant crime problem until state and local law enforcement are strengthened, judicial reforms are implemented and the social conditions that are breeding grounds for criminality improve. Ainslie teaches at the University of Texas at Austin and is author of the forthcoming "The Savior of Juarez: Mexico at the Time of the Great Drug War" (University of Texas Press). He has spent the last two years exploring the impact of the violence on Ciudad Juarez, as well as interviewing Mexican policymakers, including several current and former members of President Felipe Calderón's security cabinet. Last year, Ainslie was awarded a Guggenheim Fellowship for his work on Mexico's war against the drug cartels. 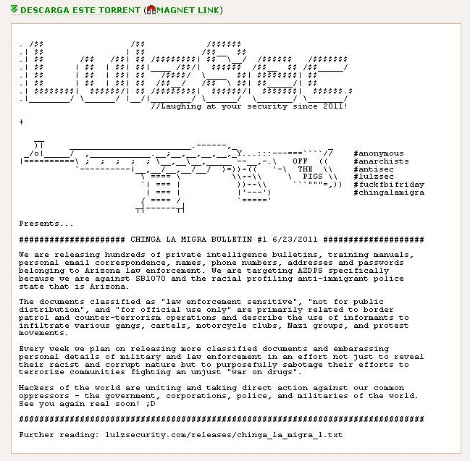 According to confidential documents released by LulzSec the Arizona Police knew about the presence of “El Chapo ” in Sonora but did not inform the Government of Mexico. The group of hackers “LulzSec“ leaked more than 700 documents from the Department of Public Safety in Arizona for retaliation against SB 1070 in Arizona. The document leaked by the hackers said that “El Chapo Guzman, leader of the Sinaloa cartel met with members of his organization in the” Rancho Jalisco “, east of Sonoita, Sonora. The confidential documents show that the authorities in the Arizona border town across from Sonora Mexico new “El Chapo” Guzman was in the area, on January 26, 2009. "On 01/26/2009, at approximately, 2030 hours, I was informed by Ajo Disrupt Units that they had made contact with a source of information (SOI) which provided information on the Sinaloa Cartel. Chapo Guzman leader of the Sinaloa Cartel was currently at a ranch near Sonoita, Sonora Mexico. SOI stated he arrived sometime in the last 48 hours along with a large entourage of his cartel members. They had a meeting / Party at the “Ranch Jalisco” east of Sonoita, Mexico. The SOI was present at the ranch during the meeting. Chapo stated to members of the cartel that they will be responsible to defend their loads or there will be consequences for their losses. The drivers of the contraband were instructed to carry long arms and wear body armor. Chapo also stated that he was going to take care of anyone who betrayed him. 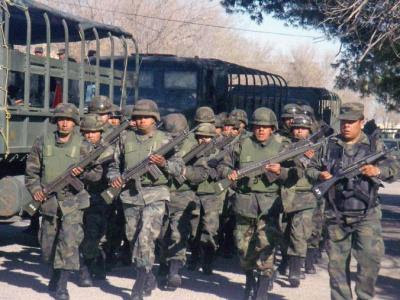 This information is considered credible because it has been verified by a credible source of information.."
Mexican troops have taken over the policing of the largest cities in the state bordering south Texas as officials try once again to fix their corruption-crippled municipal forces. Some 2,800 soldiers, bolstered by state police units, replaced most civilian officers in 22 Tamaulipas cities and towns, including Nuevo Laredo, Reynosa, Matamoros and smaller border towns as well as Tampico and the state capital, Ciudad Victoria. The soldiers will stay while the municipal officers are vetted for possible participation in crime and corruption, and will either be fired or reinstated, officials said. In addition, three new battalion-strength army bases are being established in Ciudad Mier, an embattled border town upriver from McAllen; San Fernando where gangsters have killed hundreds of innocent migrants and others in the past 10 months; and in Ciudad Mante. More than 1,000 people have been killed in Tamaulipas since early last year, when fighting broke out between the so-called Gulf Cartel narcotics smuggling gang and its former enforcers, Los Zetas. Officials also accuse the Zetas of massacring 72 mostly Central American migrants in San Fernando last August and murdering nearly 200 other innocents, mostly travelers passing through the town, since last fall. Bought off or terrorized into compliance by the gangsters, local police forces in the state have been repeatedly purged and rebuilt in recent years, to little effect. The military's temporary assumption of local police duties was agreed to in February by Tamaulipas' governor and President Felipe Calderón. The takeover comes as activists press Calderón to withdraw the military from the government's crackdown on the gangs, citing human rights abuses by soldiers. Calderón insists the troops will stay as long as local and state forces aren't up to the task. Mexican soldiers and marines have been clashing with gangsters in Tamaulipas and neighboring Nuevo León state, which includes Monterrey, for much of the past 18 months. 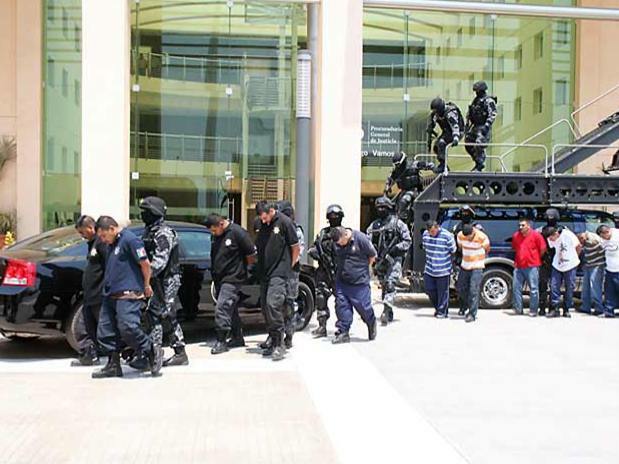 Troops this year have arrested entire police forces in the Monterrey area for collaborating with the criminals. 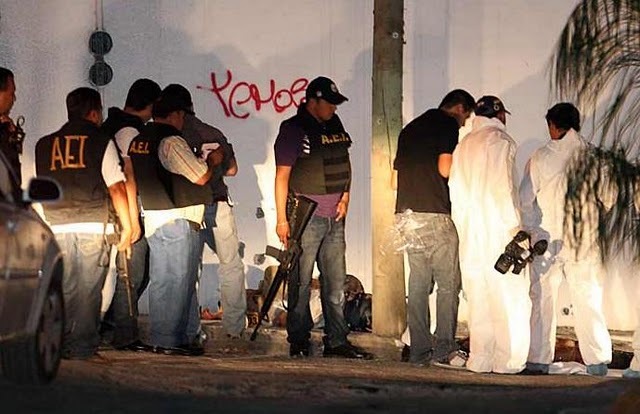 Soldiers killed more than 600 alleged gangsters in Tamaulipas alone since late 2006, including some 230 this year, the newspaper Milenio reported this week. In all, soldiers have killed nearly 1,700 people across Mexico since Calderón deployed them against the gangsters upon taking office in December 2006. Gunmen kidnapped five patients and two employees of a drug rehabilitation center in Cuauhtemoc, a city in the northern Mexican state of Chihuahua, prosecutors said. The masked gunmen entered the facility Tuesday and grabbed four people, including two employees, who were inside. Three patients who had managed to get out of the building were stopped by the gunmen on a nearby street a few minutes later and forced into an automobile at gunpoint. The kidnapping was staged at the CAADIC drug rehabilitation center in the Tierra Nueva section of Cuauhtemoc, Attorney General’s Office Northern Zone spokeswoman Alexa Lara said. Gunmen working for drug cartels have staged a number of attacks in recent years on drug treatment centers in Mexico, especially in the northern region of the country. The attacks on rehab centers apparently target individuals who are using the facilities to sell drugs on rivals’ turf, officials say. Earlier this week, marines rescued 66 people being held against their will at an unlicensed drug rehabilitation center in the Gulf state of Veracruz and arrested eight people, the Navy Secretariat said. The marines went to the Solo por Hoy Vivire facility in the city of Boca del Rio after receiving a tip from a citizen and found 20 women packed into a tiny room, the secretariat said. A search of the building turned up 46 men who were locked in a cell, the secretariat said. The operation also resulted in the seizure of 190 doses of cocaine and marijuana. On June 7, gunmen attacked the La Victoria drug rehabilitation center in Torreon, a city in the northern state of Coahuila, killing 13 people. Gunmen attacked the Anexo de Liberacion y Adicciones treatment center on Dec. 5 in Ciudad Juarez, a border city in Chihuahua state that is considered Mexico’s murder capital, killing three people and wounding seven others. At least 10 armed men went into the clinic and opened fire, officials said. Gunmen killed 18 people at a drug treatment center located two blocks from a police station and the Santa Fe international bridge in Ciudad Juarez, which lies just across the Rio Grande from El Paso, Texas, on Sept. 3, 2009. 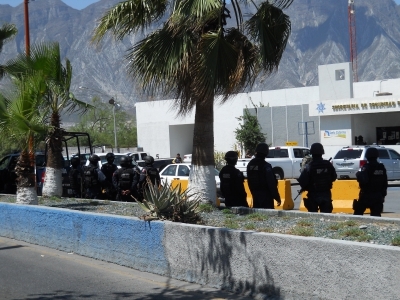 Nineteen people were killed and six others wounded in an attack on a drug rehabilitation center in Chihuahua city, the state capital, on June 11, 2010. Gunmen killed 13 people on Oct. 24 at a drug rehabilitation center in the northwestern border city of Tijuana. The attack occurred at the El Camino treatment center in east Tijuana, which is in Baja California state. A police chief was killed and three civilians were wounded by gunmen in southern Veracruz, a state on Mexico’s Gulf coast where drug-related violence has been on the rise due to a turf war involving three cartels. Ciudad Isla municipal police department coordinator Ricardo Reyes Alvarez was gunned down on Tuesday afternoon, officials said. Gunmen armed with AR-15 assault rifles opened fire on the police chief at a car wash, wounding three employees. Reyes Alvarez tried to reach a nearby hospital but died before he could get there, officials said. One of the car wash employees wounded in the attack is listed in serious condition. 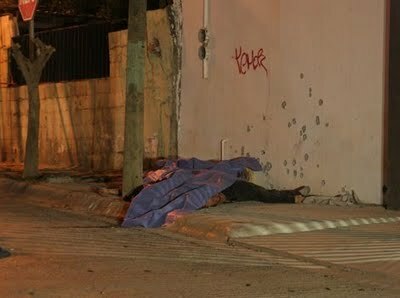 Shootouts between the security forces and gunmen working for drug cartels have left more than 50 suspected criminals dead in the past six months in Veracruz, which is in eastern Mexico. The La Familia Michoacana, Los Zetas and Gulf drug cartels all have a presence in Veracruz, 6th Military Zone commander Gen. Carlos Rene Aguilar Paez said Tuesday. Los Zetas and the Gulf cartel are waging a turf war in the Gulf state, Aguilar Paez said. In comparison to the brazen and public violence in cities like Monterrey, Nuevo Leon, Juarez, and the lengthy, raging gun battles in Tamaulipas, the violence in Tijuana passes almost calmly through the city, occurring, and then disappearing as if it never took place. The Union Tribune, the local San Diego paper, across from Tijuana, rarely picks up the stories of the slayings across the line, only a hanging body or massacre will draw much attention from the paper. That is not to entirely blame the Union Tribune, as these murders are often low key, and uneventful, to those not immediately involved in their aftermath, and investigation. To an outsider, one unfamiliar with the drug trade and politics of the city, even those who are these killings have become increasingly difficult to connect, and analyze, and so they go unnoticed, even as bodies are burned, and heads found in duffle bags turn up on the sidewalk, often with attached messages, which the authorities have been refusing to disclose for months now, for unknown reasons. Do the press or police not want to assist the narcos in their campaigns of terror and intimidation? Is it too keep things discreet, and not attract negative attention to the city? Every once in a while one will sneak through, for unknown reasons, and it feels like we have been given a piece of a puzzle, with many still missing. A loose strand that we are unable to connect to much of anything else, and that brings up more questions then it answers. On June 10 a body was found near Rosarito Beach, with signs of torture, and bearing a sign which read Por andar chapulineando atte.Los Tigres, which loosely translated means 'For standing with/walking with grasshoppers' Grasshoppers, is a a narco term meaning, essentially a traitor, someone who switches sides in organized crime. The questions begin here, who are Los Tigres? This is the first banner bearing their signature, or is it simply the first published? It is likely they are the people of Jose 'El Tigre' Soto, the 'last man standing' out of El Tomate, and El Guicho, all former operators of detained boss Teodoro 'El Teo' Simnetnal. Are they fighting for the Rosarito Beach territory, which formerly belonged to El Guicho? Are they aligned with Sinaloa? I can only offer threads of educated guesswork in this article, as to who they are, and who they are fighting. One day later in the La Presa and Loma Dorado neighborhood two men are executed moments apart, and we are informed they were members of the cell belonging to El Guicho. Again, fleeting and brief information, that we are unable to piece together. A power struggle in the aftermath of Guicho's arrest? Another group trying to finish off the cell? Earlier this week, a suitcase containing bagged body parts was found, authorities believe it may belong to the head found a week or so earlier. The violence in Tijuana seems to flare up at a moments notice, and things escalate from dead bodies, to dismembered limbs in the street, to public hangings, then just as soon as they start, they vanish, and nothing more is heard, maybe an arrest or two is made, and then it's back to the usual. But, still the questions remains, who is fighting in the city? Who, if anyone controls the plaza? Who, if anyone is ordering these deaths, or are they result of low level infighting? Where is CAF? Who is 'El Achilles' whose name has drifted into conversation and corridos on both sides of the border? Today, three men were found strangled, and shot in the Sanchez Taboada neighborhood, there was a narco message found at the scene, which was left unpublished. We are left with scraps to try and connect the pieces as the violence quietly goes on Tijuana. President Felipe Calderon made an impassioned defense of his military assault on organized crime in an unusual public faceoff Thursday with his biggest critics: sometimes weeping relatives of murder victims who blame the government for the bloodshed. Poet Javier Sicilia, who lost his son to drug violence in March, opened the publicly televised exchange by demanding that Calderon take the military off the streets and apologize to victims for a failed strategy that he and others say have caused more than 35,000 deaths since Calderon took office in late 2006. The meeting at Mexico City’s historic Chapultepec Castle was emotionally charged, with a mother breaking down in tears as she demanded results into the investigation of her four missing sons, and a relative of two slaying victims of drug traffickers holding back tears while he asked for an update in their case. Surrounded by grim-faced top Cabinet members and the first lady, the president pointed his finger and pounded the table to emphasize that with criminal gangs seeking to control Mexico, it would have been irresponsible not to act. Several people have been arrested in the March 28 slaying of Sicilia’s son, Juan Francisco Sicilia, a college student who authorities say was in the wrong place at the wrong time. Calderon repeated what has become the mantra for his administration: that criminals, not the government, are causing the violence. “Francisco was killed by criminals, not federal forces,” he said. While the face-to-face confrontation seemed dramatic, most observers expected little to come of it. Some saw the public confrontation as benefiting Calderon, giving him a wide audience for his message, while Sicilia’s proposals to focus on cleaning up institutions and attacking corruption are things the government says it’s already doing. One of the most concrete demands from his group is for a memorial that names all drug war victims. Sicilia has organized what he calls a civil disobedience movement for peace, leading protests in Mexico City and the nearby city of Cuernavaca and a caravan to the violent border city of Ciudad Juarez, where Calderon also had an emotional meeting last year with relatives of youths killed when gunmen burst into a party and opened fire. Sicilia’s movement announced it will send a new protest caravan to Mexico’s border with Guatemala. Previous marches organized by other victims-rights groups in Mexico have drawn more protesters, and violence has only increased. Calderon gave a frank assessment of what is going on in Mexico: that cartels control some areas of the country, corruption is rampant, judges are paid to let criminals go and local police are in the employ of gangs. But he said he couldn’t wait to clean up institutions before launching an attack. “If you can stop a crime and you only have stones, then you do it with stones,” he said. 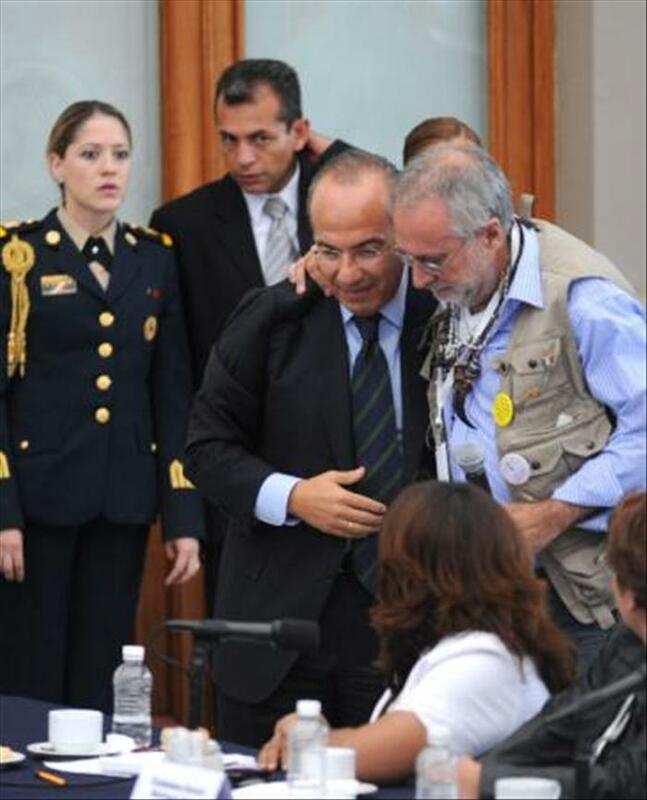 Calderon agreed to meet with the peace activists in three months, after the two exchanged an awkward hug. Juárez Police Chief Julian Leyzaola survived an assassination attempt Thursday morning in downtown Juarez, an official said. Two men shot at his motorcade and his bodyguards returned fire, wounding one of the assailants, officials said. The other suspect fled the scene. No police officers were harmed in the attack, officers said. The incident took place Thursday morning in the La Chaveña neighborhood near downtown Juárez when Leyzaola was riding with his bodyguards, the official said. Officers arrested Roberto López Valles, 24, in connection with the ambush. They also seized a gun and a charger. Leyzaola, a retired Mexican Army lieutenant colonel, was sworn in as Juarez police chief in March. In his role, Leyzaola has taken on the huge challenge of fighting crime in one of Mexico's most violent cities. In a interview with the El Paso Times earlier this month, Leyzaola talked about Los Zetas, a criminal organization in México labeled as one of the bloodiest groups. "I don't know why Los Zetas are so feared," Leyzaola said during the interview, held in Juarez. "In the end they're just criminals. They're not different from the rest just because they call themselves Zetas. "Am I supposed to tremble when the Zetas are mentioned or what? I think it is them who should tremble when they talk about the authorities," Leyzaola said. Forty Juárez police officers have been killed since Juárez Mayor Héctor Murguía took office on Oct. 10, 2010. 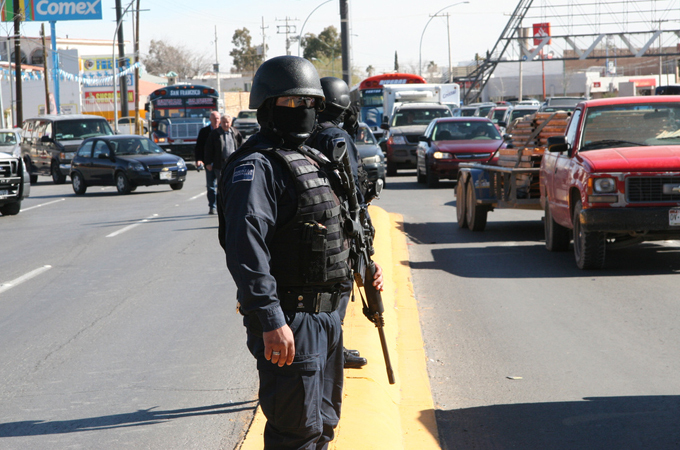 Fourteen Juárez police officers have been ambushed this year, according to the Juárez Department of Public Safety. 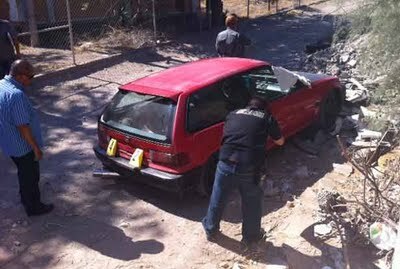 Since January 2008, more than 8,000 people had been killed in Juárez. Josh Rushing finds out how campesino communities caught in the narco-economy are resisting repression and dispossession. The spectacular violence of Mexico's drug war grabs international attention. Some 40,000 people have been killed since 2006, when President Felipe Calderon deployed Mexican military and security forces in the so-called war against the cartels - often in gruesome and sadistic ways. But behind the headlines, under cover of impunity, a low-intensity war is being waged. In the second episode of a two-part series, Josh Rushing and the Fault Lines team travel to the state of Guerrero to investigate claims that Mexican security forces are using the drug war as a pretext to repress indigenous and campesino communities. In one of Mexico's poorest and top drug-producing states, where struggling farmers are surrounded by the narco-economy, we ask about the cost of taking the struggle against dispossession into your own hands. The capture this week of Jose de Jesus Mendez Vargas, the alleged leader of the La Familia crime syndicate, offered a lesson on how short-lived and fickle alliances in Mexico's criminal underworld can be. But in Mexico, the bad blood that sparks such feuds can be forgotten as drug lords grow weaker or stronger and opportunities arise to muscle into new turf. Federal police presented Mendez Vargas to the press early Wednesday after his transfer from Aguascalientes, the central Mexican city near where he was captured. The burly alleged capo wore a red short-sleeved shirt partially covered by what appeared to be a black bulletproof vest. Federal Police Commissioner Facundo Rosas said Mendez Vargas' arrest marked the virtual destruction of the leadership of La Familia Michoacana. The senior U.S. diplomat in Mexico, John Feeley, congratulated the police on the "important step" taken with the arrest. "As Mexico's federal police and armed forces continue to improve their tactical capabilities to investigate and take down organized criminal networks and their leaders, impunity shrinks and Mexico's people become more secure," Feeley said. A watershed moment for Mendez Vargas came on Dec. 9, when federal police shot and killed Nazario Moreno, the messianic ideological co-leader of La Familia who wrote bizarre cult-like pamphlets under the pseudonym El Chayo, "The Craziest One." With Moreno's passing, Mendez Vargas tried to seize undisputed leadership of La Familia but two key underlings resisted, Pequeno said. By March, those two men, Servando Gomez Martinez ("La Tuta") and Dionicio Loya Plancarte ("La Chiva"), had broken off to form their own faction, which they named Knights Templar. By May, Knights Templar followers had hung banners around Michoacan state declaring Mendez Vargas a traitor and unleashing gun battles with his crime soldiers. By May 27, the heat on Mendez Vargas was so great that when he convoked his closest operatives to a meeting, they gathered in Las Lomas, a village in neighboring Jalisco state, Pequeno said. As the meeting broke up, federal police swooped in and arrested 40 people, including five mid-level chiefs, he added. The meeting with the Zetas took place sometime after that. Then Mendez Vargas wended his way north to Aguascalientes. Police were vague about the circumstances of his arrest, except to deny that he'd turned himself in. Rosas, the Federal police commissioner, said Mendez Vargas was captured in a "surgical" operation without a shot being fired. Whether someone offered a tip to his whereabouts - Knights Templar, Zetas or random but savvy civilians - is not publicly known. 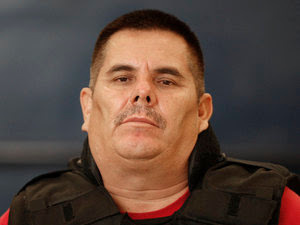 Presented to the media on June 22, 2011 in Mexico City is first a group of sicarios from the Caballeros Templarios and then Jesús Méndez Vargas, alias "El Chango" leader and co-founder of "La Familia Michoacana". El Salvador's president says members of the Zetas drug cartel have gone on scouting missions to his country in an attempt to obtain weapons from corrupt police officers and soldiers. President Mauricio Funes says there are a lot of weapons left over from El Salvador's 12-year civil war and that the flow of guns there is "shocking." Funes said Tuesday after a meeting with Mexican President Felipe Calderon that the Zetas have not settled in El Salvador like they have done in Guatemala but said some local gangs are working for them. Mexican drug cartels have been increasingly moving to Central America as Mexico cracks down on them. Funes said there needs to be a regional approach to fighting drug cartels in Central America. 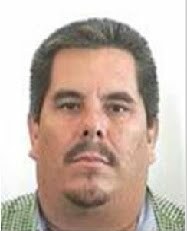 MEXICO CITY (AP) — Mexican federal police caught one of Mexico's most-wanted drug lords, the alleged leader of the La Familia cartel, authorities said Tuesday. Federal security spokesman Alejandro Poire said police arrested Jose de Jesus Mendez Vargas, alias El Chango, or "The Monkey," in the central state of Aguascalientes without firing a shot. A posting by Calderon on his Twitter account says the arrest "is a big blow" to organized crime. The government has offered a $2.5 million reward for his capture. "With this arrest, what remained of the structure of this criminal organization has been destroyed," Poire told a news conference. With La Familia's top leader killed in a shootout in December, Poire said Mendez was "the last remaining head of a criminal group responsible for homicides, kidnappings, extortion, corruption and even cowardly attacks on the authorities and the civilian population." According to the reward statement issued by the Attorney General's Office, Mendez was "responsible for the transfer and sale of cocaine, marijuana, crystal methamphetamine in various states of Mexico and the United States of America. He is the alleged mastermind of kidnappings and killings, mainly of members of other criminal organizations." La Familia, based in Calderon's home state of Michoacan, uses pseudo-Christian ideology while gruesomely decapitating foes and selling cocaine and methamphetamine by the ton. Leader and founder Nazario Moreno Gonzalez was killed in December during two days of shootouts between his gang and federal police. After his death, the group split into warring factions, causing increased bloodshed in the state. Mendez was believed to have remained the leader of the La Familia faction, according to federal police, while messages appeared in March from a split-off group calling itself the Knights Templar, saying it would replace La Familia. That name alludes to a Christian order of knights founded in 1118 in Jerusalem to protect pilgrims in the Holy Land after the First Crusade. 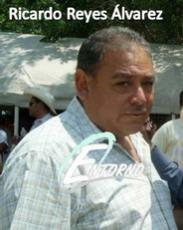 Another La Familia leader, Servando "La Tuta" Gomez, is believe to lead the Knights Templar, federal police say. La Familia first appeared four years when it rolled five severed heads into a Michoacan nightclub, vowing to protect Michoacan from rival cartels. 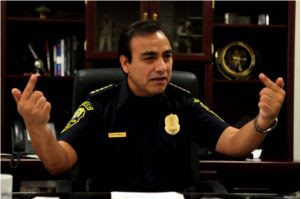 Calderon responded by deploying thousands of federal police in the state, warning that La Familia was corrupting local officials, extorting businesses and terrorizing the population. More than 35,000 people have died in drug violence since, according to government figures. Local media say the number is closer to 40,000. Poire said that 21 of the country's 37 top drug traffickers have been arrested or killed since 2009. He was an ambitious drug smuggler with ties to a Mexican cartel; she a newly minted U.S. Border Patrol agent wooed into a romance with the trafficker. "I asked her if she wanted to hang out with me, and she said yes," recalled Diego Esquivel, who, according to court testimony, hoped to start smuggling more lucrative shipments on his own. "I asked her what I could do to avoid being caught. ... She provided information." Rookie agent Raquel "Kelly" Esquivel - no relation to Diego - is serving 15 years in a North Texas federal prison, one of many federal law enforcement personnel targeted by Mexican drug cartels in criminals' widening campaign to infiltrate or buy turncoats within the expanding ranks of 20,700 Border Patrol agents and 21,000 Customs and Border Protection officers stationed at airports, seaports and land crossings. Investigations of border security personnel have expanded in each of the past four years, with at least 1,036 inquiries under way, including some 267 focused on suspected corruption. Additional corruption-related investigations are conducted by the FBI or internal affairs agents within the agencies. Smugglers have become "more creative and clever in their illicit activities," said Charles Edwards, the Department of Homeland Security's acting inspector general. "They have turned to tempting DHS employees to assist in smuggling efforts for private gain." Since 2004, 127 border security officers and support staff have been arrested, charged or convicted of corruption - including 95 so-called "mission compromising corruption" cases involving officers like Kelly Esquivel. The former Del Rio sector agent knew Diego Esquivel from their school days. According to records, she advised him on at least three occasions in 2007 on what highway to take, what motion detectors to avoid, the timing of a local sheriff's visits to a boat ramp used for deliveries and the Border Patrol's deployment schedule. She even gave him a Border Patrol shirt and cap. "I thought I could impress the guys in Mexico with it," the smuggler said. He gave the cap and coveted intelligence to his boss in Mexico before being arrested on a last drug run north. Prosecutors believed he had overseen the shipment of as much as 5 tons of marijuana during a two-year period. The smuggler and the agent were convicted of conspiracy to possess drugs with intent to distribute more than 2,200 pounds of marijuana. The former law enforcement officer provided what prosecutors deemed "sensitive law enforcement information" to her boyfriend. He pleaded guilty and agreed to testify against her. The case illustrates that stepped-up efforts are needed to detect corruption and infiltration after border security agents are on the job, says Rep. Michael McCaul, R-Austin, chairman of the oversight panel within the House Committee on Homeland Security. McCaul is asking Congress' investigative Government Accountability Office to look into corrupted border security to set the stage for an inquiry by his committee. "The cartels buy off police chiefs and elected officials in Mexico, and now they're trying to buy off our Border Patrol agents who are our first line of defense," said McCaul. Other border protection officers in Texas and elsewhere also have faced federal corruption charges in recent years. CBP technician Martha Alicia Garnica, 44, is serving a 20-year sentence after pleading guilty last year to charges in El Paso that she conspired to import more than 220 pounds of marijuana and smuggle undocumented aliens and offered or paid $5,500 in bribes to Customs and Border Protection officers to turn a blind eye. Former CBP officer Alex Moses Jr., of Eagle Pass, is serving five years of probation after pleading guilty to smuggling about 6 grams of cocaine from Mexico in 2008. And former CBP officer Sergio Garza, 36, was sentenced in Laredo in 2008 to three years in prison for aiding the smuggling of an undocumented alien into the U.S. - one of at least 10 undocumented immigrants whom he admitted allowing into the country. "We recognize that there are bad apples in the barrel," says Alan Bersin, head of Customs and Border Protection, which includes the Border Patrol. "It is our job to prevent corruption, detect it when it happens (and) prosecute it after investigating it." Yet challenges remain. Only 22 percent of new hires are subjected to lie detector tests amid expanding enlistments and shortages of polygraph specialists. The agency is expanding the number of polygraphers from 35 to 52, but it will be at least 2013 before it can polygraph all new hires. Efforts also lag in identifying compromised law enforcement officers already within the ranks. An estimated 60 percent of veteran law enforcement officers initially fail periodic lie detector tests required every five years to verify honesty and backgrounds, officials said. Nearly 15,200 officers who have failed the routine polygraphs await follow-up background checks. Even with all the precautions, senior officials concede they can only guess at the breadth of infiltration or corruption by Mexican cartels. "I could not give you a specific number," concedes Bersin, the top border security official. "In the course of reviewing these (employees), we do come across cases in which people reveal themselves to either have outright criminal backgrounds or links to organized criminal elements based in Mexico or gangs based in the United States, which disqualifies them." Seven municipal police officers were arrested in connection with the kidnapping, torture and murder of a marine in the eastern state of Veracruz, the Mexican Navy Secretariat said. 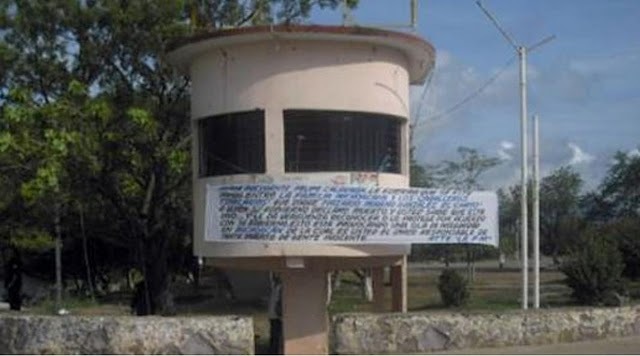 Three marines were abducted, tortured and murdered recently, with two of the killings occurring in Veracruz and one in the northwestern state of Sinaloa, the secretariat said last week. The three unidentified marines were involved in operations targeting drug traffickers and other criminal organizations. The police officers were arrested in connection with the killing of a marine whose body was found on June 11 near the Tuxpan River in Veracruz, the secretariat said. The navy has participated actively in the war on drugs, with marines involved in the December 2009 killing of drug lord Arturo Beltran Leyva. 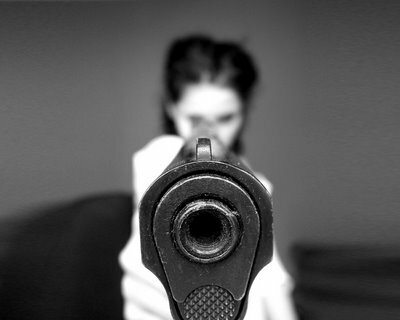 Gunmen later murdered several relatives of marine Melquisedet Angulo Cordova, who died in the shootout in which Beltran Leyva was killed on Dec. 16, 2009, in Cuernavaca, the capital of Morelos state. The gunmen, all suspected of being members of the Los Zetas drug cartel, killed Angulo Cordova’s mother, two brothers and aunt. The marine’s relatives were murdered on Dec. 21, 2009, at the family’s home in Paraiso, Tabasco, just hours after their loved one was laid to rest with full military honors. Mexico's drug gangs are increasingly developing ties to mafias around the world, from Japan to India, Russia, and Western Europe. Mexico's drug gangs have exploded into a frenzy of violence in recent years. 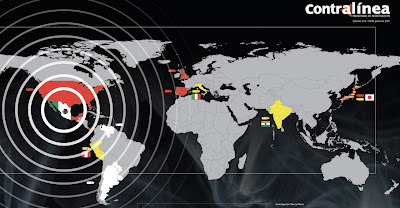 Less visible, but just as significant, is their increased power in the international drug market, and connections to foreign criminal organizations. As Contralinea reports, while Mexican groups like the Sinaloa Cartel have long had close links with Colombian cocaine suppliers and U.S. drug wholesalers, they are now establishing their presence across the world. In the process, they are carving out links with some of the most established groups in Southeast Asia, Europe, and the Indian subcontinent. While reports of Mexican groups being mixed up in drug rings in places as far afield as Malaysia and West Africa is nothing new, recent evidence points to a more substantial, enduring presence in strategically important foreign nations. Not only are they buying and selling large shipments of cocaine, they are setting up shop in local retail markets and carving out toeholds in newly important regions like West Africa and India. The “Mexicanization” of the international drug trade has an impact on Mexico. For the governmental agencies charged with combating these gangs it is bad news. Increased profits and new sanctuaries abroad can reduce the gangs’ vulnerability to local prosecutions, while also increasing their financial capacity to corrupt. Indeed, one source contacted by Contralinea speculated that the expansion of Mexican drug gangs is being orchestrated by legitimate government office-holders, though he offered zero evidence to support such a charge. The following is InSight's translation of extracts from the report. Their bilateral investigations [by Italian and American authorities] have revealed that the Gulf Cartel maintains links with the ‘Ndrangheta, the criminal organization that controls the region of Calabria and, in the international scene, traffics drugs to New York and Europe. The binational operation Reckoning was the first antecedent for American and Italian authorities regarding the drug-trafficking links between [Italy] and Mexico. The operation showed that the Mexican traffickers exported cocaine, heroin, methamphetamine, and marijuana in large quantities to Italy. With information from Japanese authorities, the report [from the State Department] indicates that "methamphetamine is illegally smuggled in principally from Iran, Mexico, and Africa. The exporters of marijuana are Canada and the United States, while the domestic cultivation of marijuana is rising, though it is of small scale." The report adds that more than 80 percent of the arrests for drug trafficking are related to methamphetamine, a market that continues to be the greatest threat for the anti-drug efforts of the Japanese government. American authorities point to Peru as the second largest producer of cocaine in the world and a big importer of precursor chemicals used for the production of that drug. It is estimated that, across the country, some 40,000 hectares are dedicated to the cultivation of coca. At the same time, they identify Mexican traffickers as some of their principal clients. According to American investigations, the links detected thus far involve the Peruvian mafia and the Sinaloa Cartel and the Zetas. Furthermore, the Council of the European Union says that the erstwhile hegemony of the Colombian cartels in the drug business in Colombia is presently shared with the Tijuana, Sinaloa, Juarez, and Guadalajara Cartels. Along with the Russian mafia and the Chinese triads, the Mexicans are one of the three principal mafias of transnational organized crime, PRI Deputy Maria de Jesus Aguirre Maldonado said on March 6, while presenting a bill to consider organized crime a threat to national security. According to Europol, the presence of Mexican cartels in European markets is growing. “The growth of the cocaine traffic from Mexico to Spain and Portugal is striking. This could indicate a new trend in the importance that the European Union, along with the predominance of the Mexican cartels in the illegal drug markets in the United States and the levels of violence linked to their activities. In the assessment mid-term review and regional indicative programme 2011-2013 for Latin America, the European Union warns that the Mexican cartels have begun to replace the Colombians in drug trafficking, principally in the world cocaine market, "seemingly as a result of successful actions against the Colombian mafia." According to Annex 6 of the report, "Central America and the Caribbean are two of the principal regions for cocaine transit. 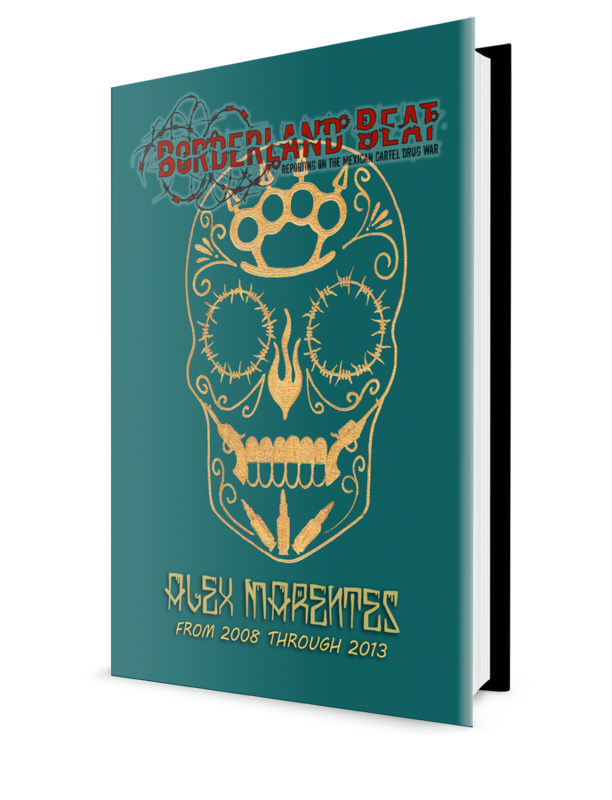 In 2008 alone they represented 15 percent of all world seizures." It adds that in Argentina, Chile, Brazil, Paraguay and Uruguay, cocaine production has increased. "This reflects the growing importance of these countries in traffic of that drug, to satisfy internal demand and to export drugs to Europe (principally through West Africa), Africa, and the Pacific region." Mexican Guns Tied to U.S.